We swam with dolphins! I’ve never done it before, and didn’t really know what to expect, but they were lovely! Like puppies, but more soggy.. and bigger. They were really playful, and seemed very happy with the trainers. 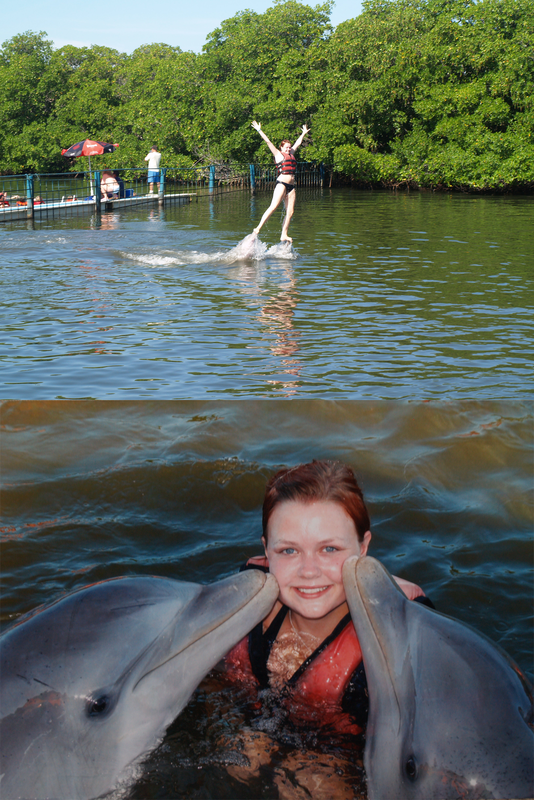 They swam behind us and pushed us forward on their noses before chucking us up in the air (the first photo)! It was fantastic! It was brilliant Laura, totally reccomended! They were lovely, and so playful!